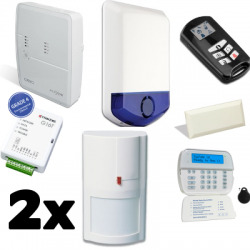 And Packs kits alarm DSC wireless.The range of wireless alarm DSC ALEXOR is recognized and easy to install.All packs alarm DSC are delivered pre-programmed.If you are looking for a wireless alarm is simple and effective, this range is made for you. Alarm DSC There are 8 products. 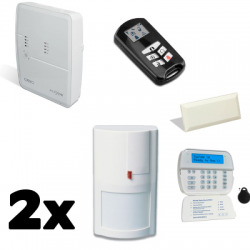 Alarm DSC ALEXOR ready to install for house type 3 (3 rooms) Alarm system DSC ALEXOR at the best price-quality relationship. 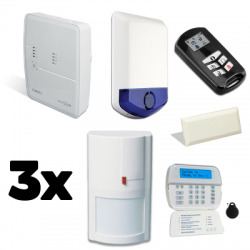 Alarm simple to install and scalable! 5-year warranty. Pack alarm DSC ALEXOR ready to install for house type 3 (3 rooms) with GSM communicator Pack alarm easy to install! 5-year warranty. Pack alarm DSC ALEXOR ready to install for house type 2 (2 pieces) with GSM communicator and siren outdoor flash. 5-year warranty. Pack alarm DSC ALEXOR ready to install for house type 2 (2 pieces) . 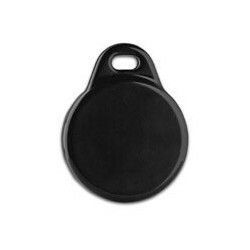 DSC alarms at the best qualities price! Alarms DSC pre-programmed! Alarm DSC easy to install! 5-year warranty. Pack alarm DSC ALEXOR ready to install for house type 3 (3 rooms) with GSM communicator and siren outdoor flash. 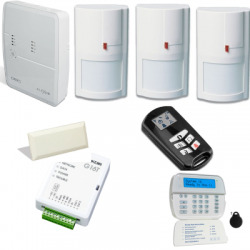 Alarm DSC the best alarm system to fight against the burglars. Alarm DSC no knowledge required for its installation ! 5-year warranty.